On Friday night, November 11, 1994, 16 year old Eddie Polec and his younger brother Billy planned on spending a typical evening with their friends in the Fox Chase neighborhood in Philadelphia; hanging out at a local park, hopping between the nearby McDonald’s and Pizza hut, and getting home in time for their 11:30 curfew. Eddie never made it home that night. Earlier that month a young woman from the nearby community of Abington, Pennsylvania, had a run in with a few Fox Chase teens, and what began as a soda tossed into her car somehow grew into a horrible rumor she’d been assaulted. At least two dozen teenagers from Abington drove into Fox Chase on November 11 seeking revenge for an event that never happened. By the end of the night, Eddie Polec paid for their misplaced vengeance with his life. This is the story of Eddie’s life and his death, it’s the story of his remarkable family, his parents John and Kathy, his siblings, the strength and grace they demonstrated in the face of the most horrific tragedy anyone could experience. 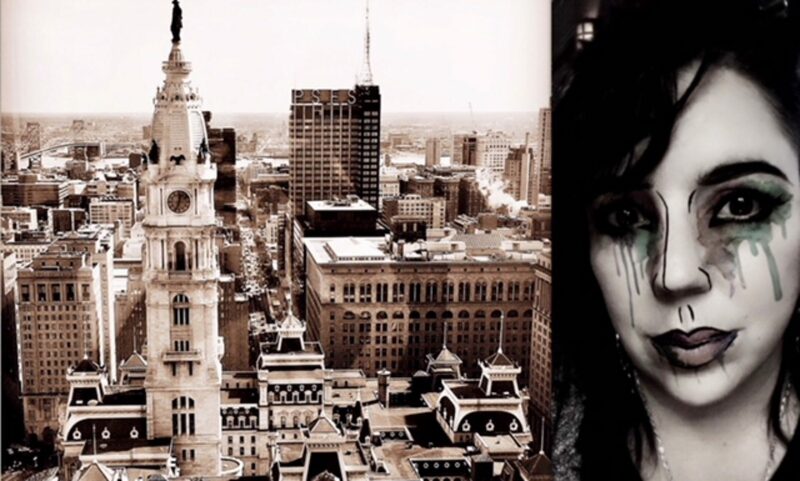 It’s the story of John Polec’s fight against the city of Philadelphia to fix what at the time was an ineffective 911 system that failed his son, the eventual changes implemented by the city that benefit Philadelphia residents even to this day. 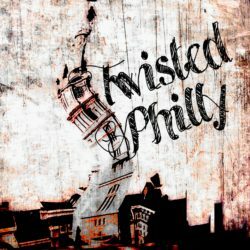 Thank you to Emmy Cerra forthe music you heard in this episode of TwistedPhilly. You can find out more about Emmy on her website at emmycerra.com and download her music on iTunes. In Part 2 of our series about Pennhurst State School and Hospital I’m joined by my good friends Jerry and Tracy Paulley, hosts of the Hillbilly Horror Stories podcast, to discuss paranormal activity at Pennhurst. Jerry and Tracy listen as I share tales of paranormal investigations at Pennhurst, my visit to Pennhurst in August 2018 and their perspectives on paranormal activity here and at other locations. I’m also joined by a number of amazing friends who graciously shared their thoughts about TwistedPhilly’s 100th episode. It’s a supersized show with so many amazing people who were instrumental in helping me achieve this milestone. I hope you enjoy hearing so many wonderful voices from other hosts who inspire and mentor me, and I hope you’ll give their shows a listen! Thank you to Emmy Cerra for most of the music you heard in this episode of TwistedPhilly. You can find out more about Emmy on her website at emmycerra.com and download her music on iTunes. Pennhurst State School and Hospital was once called the Shame of Pennsylvania. It sat only about 25 miles outside of Philadelphia yet it may have been a world away considering how few people knew about the decline of the institution, and how that decline impacted the residents. In 1903, the state of Pennsylvania approved the creation of the “Eastern State Institution for the Feeble Minded and Epileptic.” Eventually this facility became known as Pennhurst State School and Hospital, a 1400 acre state owned and state supported institution committed to the “care, treatment, education and vocational training” of children and young adults with intellectual and developmental disabilities. Soon after opening in 1908, Pennhurst was plagued by overcrowding that continued throughout the facility’s 80 year operation. The campus was self sustaining, with independent power grids, a fully functioning farm, everything anyone could want except proper care and support for it’s residents which at one point reached over 3500. In 1968, NBC 10 reporter Bill Baldini released a five part series about the conditions at Pennhurst State School and Hospital which forced the public to acknowledge the horrific conditions in which the residents lived; overcrowding was the least of their misery. Restraints, unnecessary sedatives, physical and emotional abuse were commonplace at Pennhurst. This is part one of a two part series about Pennhurst State School and Hospital. In this episode we’ll explore Pennhurst’s history, it’s 80 year operation, the children who lived there, why it finally closed down in 1987, and it’s legacy since then. Part two will be released in a few days, featuring paranormal stories about Pennhurst. About two years ago I met a couple named Don and Leandra Morris while Attending CrimeCon in Indianapolis, IN. Don and Leandra were hoping to get into the convention to increase awareness about their daughter, Ashley Morris Mullis, who disappeared in 2013. I interviewed Don a few weeks later and shared Ashley’s story in an episode of TwisedPhilly in the summer of 2017. Today is Ashley’s birthday, and in honor of that I am re-releasing my interview with her father Don Morris. Please give this episode a listen, follow Don on social media and if you’re in or around the Muncie, IN, area, please do what you can to help spread the word about Ashley. Between the summer of 1985 and fall 1990, eight women were brutally murdered in the Frankford section of Philadelphia. Police already had their hands full between Gary Heidnik and his house of horrors and Marty Graham, whom the press dubbed the Corpse Collector. Philadelphia had three serial killers operating at almost the same time in this city, but because the locations of the slasher victims seemed unrelated, and inconsistent intervals between killings, these crimes weren’t linked as the work of one sadistic killer for over three years. Eight women lost their lives, but they weren’t the only people who’s existence were devastated by the Frankford Slasher. Leonard Christopher, arrested, charged and convicted for killing one of these women spent his life in jail for a crime he likely didn’t commit, and was surrounded by a cloud of suspicion that he was the Frankford Slasher. Travel back in time with me 30 years to Frankford Avenue, Goldies Bar, and other spots under the L where darkness prowled the neighborhood and used a blade to leave it’s mark on the community. On Monday afternoon, February 14th in 2011, Lexus Ivery walked up the 5400 block of Rutland Street in Northeast Philadelphia, not far from Oxford Circle, headed toward’s the home she shared with her sister Marcedes and her mother Kim. Before Lexus reached the front door, neighbors called out to her and told her not to go in the house. Not long before Lexus approached her home, residents along Rutland Street saw a man and two female companions approach Mercedes Ivery’s home. He kicked in the door and immediately after he entered neighbors heard gun shots. Moments later this man ran out of the house with his two friends trailing behind. When police entered the first floor of the Rutland Street home, they found something they weren’t expecting: helium balloons in the shape of letters that spelled out LOVE and other Valentine’s Day decorations. This was not a scene where you’d expect to see gun violence, it looked more like someone getting ready for a romantic evening, or a Valentine’s night party. The police made their way upstairs and as they inspected the second floor bedrooms they found 22 year old Marcedes Ivery and her cousin, 19 year old Tiffany Barnhill dead from multiple gunshot wounds. Was this a robbery gone wrong? Was it a home invasion? Were Tiffany and Marcedes targeted on Valentine’s Day n 2011? That’s what we’re going to find out. One night in October, 2017, a young woman from New Jersey drove along route 95, a major highway on the east coast. Her story went something like this: she was on her way home from visiting a friend in Philadelphia and her car ran out of gas. She coasted off the highway, down the exit ramp until her car finally died. It was late at night, she was alone, no idea where the nearest gas station was. She called her boyfriend told her he would come and get her. But he was in New Jersey, so she’d be waiting a little while. Soon after her car stalled out a stranger approached her window. His name was John Bobbit. He had a slender, angular face, a long unruly beard and mustache. Jon was homeless, but he saw a young woman alone and stranded and knew he could help. The young woman was Katie McClure, and her good fortune was breaking down off the exit ramp where John asked people for money. Katie and her boyfriend Marc D’Amico not only repaid John’s kindness, they decided to change his life and launched a Go Fund Me campaign to raise $10,000 in an effort to help John Bobbit get off the street and into a drug rehabilitation program. They never expected that campaign to raise over $400,000, nor did they expect to be arrested about a year later in November 2018, all three charged with fraud and conspiracy. What happened? How did this feel good story turn out to be such a disaster resulting in McClure and D’Amico’s house getting raided and Go Fund Me reimbursing 14,000 donors who contributed to this campaign? You’ll find out in part two of the 2018’s best and worst in TwistedPhilly.